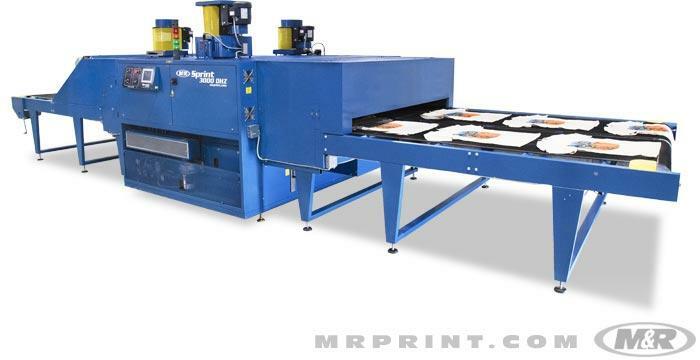 M&R makes the most efficient gas and electric screen printing conveyor dryers. With process and set temperatures controlled digitally—and with CoolSkin™ technology keeping the heat inside the curing chamber—it’s no wonder each M&R electric or gas screen printing conveyor dryer has the highest production rates and highest level of energy efficiency in its class. No competing electric or gas silk screen printing dryers come close. 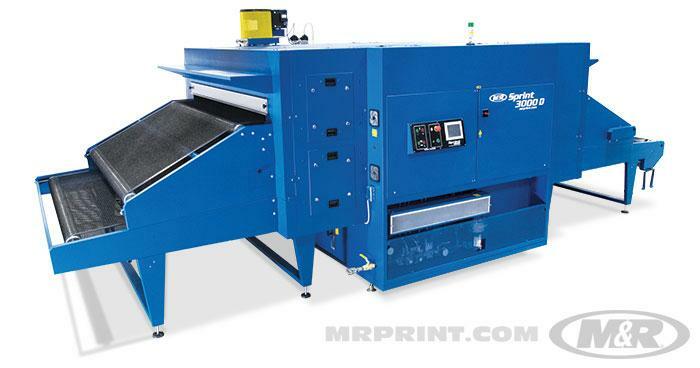 M&R’s Sprint® 3000 series dryers are known throughout the industry for efficiency, consistency, and value. The Sprint 3000 DHZ (patents pending) expands on that heritage with dual heat zones and belts that can operate separately or function together as one large dryer, there is simply no other dryer like it. 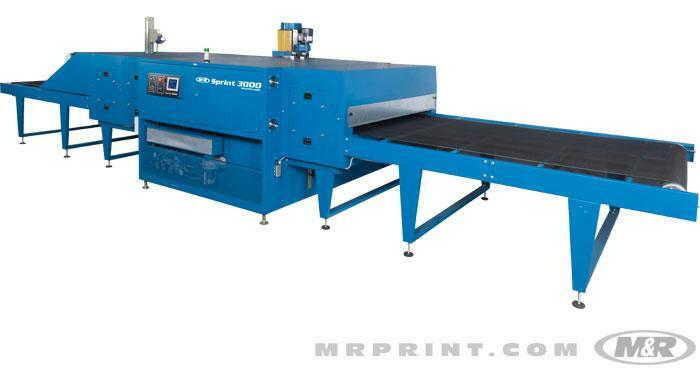 Sprint 3000 is the most innovative and dependable gas dryer in the industry. Sprint 3000’s large color touchscreen control center features icon-based labeling and can display information and commands in multiple languages. It also displays real-time performance data, including temperature, temperature history, and output from the included temperature probe, which can be used to track substrate temperature as it passes through the dryer.